Labcraft, the industry-leading designers and manufacturers of LED lighting for commercial vehicles, is presenting three new lighting solutions at this year’s Automechanika and IAA shows in Germany which, says the company, will raise the bar for safety and illumination in the European and international vehicle work-place. 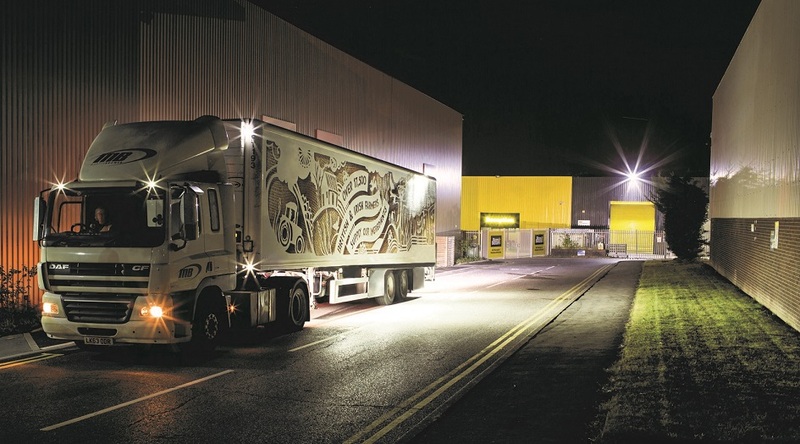 Labcraft’s innovative Banksman BM3 lighting solution is already proving to be an effective contributor to safety and cost reduction in the commercial vehicle industry. With over 6,000 installations, ranging from large fleets to single vehicles, operators who have fitted the system are reporting improved levels of safety and significant cost savings associated with accident damage and vehicle downtime. Mounted at various points on the underside of the chassis, the Labcraft Banksman BM3 system delivers additional bright, white light around the vehicle to areas which conventional reversing lights cannot reach. It is suitable for any vehicle required to work in areas of darkness or poor light and simple to install – either to pre-registered vehicles, as ‘standard’, or for retrofitting to an existing fleet. As a Regulation 23 compliant manoeuvring light, the Banksman BM3 can be installed to illuminate when in reverse only, or when both reversing and in forward motion up to 10km/h. Made from tough polycarbonate with strengthened lenses to protect its market-leading Cree LEDs, the Banksman BM3 is IP67-rated and is supported with a 5-year warranty. Its advanced internal electronics and heat management systems enable the Banksman BM3 to provide the powerful, bright white light that is consistent and compliant with Regulations. All Labcraft lights, including the Banksman BM3, are made at the company’s ISO9001 accredited manufacturing facility in Saffron Walden, Essex. Operators of temperature-controlled vehicles, rigids, curtainsiders, box vans and construction vehicles have installed Labcraft’s Banksman BM3 solutions to reduce personal injury and damage while reducing downtime and keeping staff and the public safe. The benefits and success of the Banksman BM3 has led to collaboration with industry bodies and leading vehicle manufacturers focused on improving safety and reducing costs. Also new at both the IAA and Automechanika Shows is the Labcraft Vanlite LED lighting range – the first direct OEM replacement light for vans. 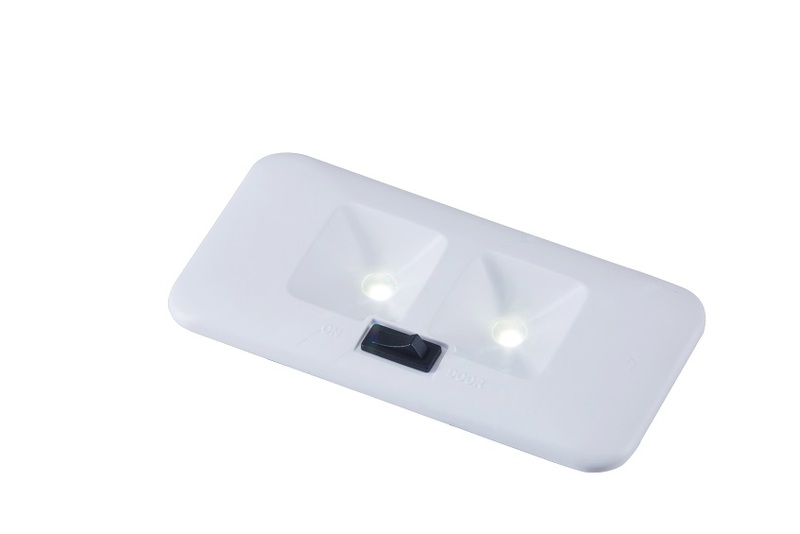 For easy installation, the LED Vanlite plugs straight into the existing OEM aperture using an easy-fit plug/play connector which eliminates additional component costs such as cabling and switches. Labour costs are therefore reduced as it takes less than 30 seconds to fit. This makes the Vanlite perfect for new conversions and for retro-fitting into existing vans. The Vanlite range is compatible with a wide range of commercial vehicles to include Citroen, Fiat, Ford, Mercedes, Nissan, Peugeot, Renault, Vauxhall/Opel and VW. In summary, the new Vanlite range brings improved safety, reduced installation costs and extended vehicle battery life to van users in every sector. The new SI9 Scenelite is the first scene light product in the Labcraft range to offer a continuous light source to illuminate the work area for a wide variety of commercial vehicles, including emergency services, construction and agriculture, promoting safety within the vehicle industry. 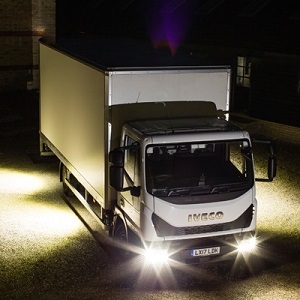 Available in black or white, this versatile product can also be used in a wide range of additional applications such as for tail-lift lighting, rescue trucks, utility vans and the 4×4 sector to provide a wide beam of bright, white light which will illuminate the darkest working environments. The SI9 is designed and manufactured by Labcraft using high-efficiency Cree LEDs to maximise light output. The SI9 is made from tough Polycarbonate with a solid aluminium base, and together with the latest high-tech heat management technology and hard-wearing components prolongs the performance and life of the light. The SI9 is a compact design producing over 850 lumens of bright, white light through a tough Polycarbonate lens. The PC lens features an anti-glare light guide which disperses the light evenly to avoid any hotspots, providing a clean and sharp field of light. The tough outer cover provides protection against severe weather conditions and pressure washing to give the SI9 an Ingress Protection rating of IP67. The SI9 Scenelite, together with the other products in the Scenelite range, comes with Labcraft’s market leading 10-Year warranty which, in most cases, matches the life of the vehicle, offering true ‘fit & forget’ lighting solutions. All Labcraft products are manufactured in the UK and meet vehicle E-type approvals. The Labcraft team will be present at Automechanika, Frankfurt, from 11-15 September in Hall 4.1 Stand G70, and at IAA, Hannover, from 20-27 September in Hall 26 Stand B57.